You may recall our recent post in support of Micklefield Hedgehog Rescue who were fundraising to convert their garage into a hedgehog clinic. This is still ongoing and funds are still needed. The attached picture is of a female hedgehog called Peanut. She was being monitored by one of our staff members in her garden. Peanut is a completely wild hedgehog who is free to come and go as she pleases. However, it was noticed that she started to have more and more ticks (which, if in big numbers, are a sign of illness). She was picked up to be checked over and 18 ticks were removed from her but there were many more so off to Micklefield Rescue she went. 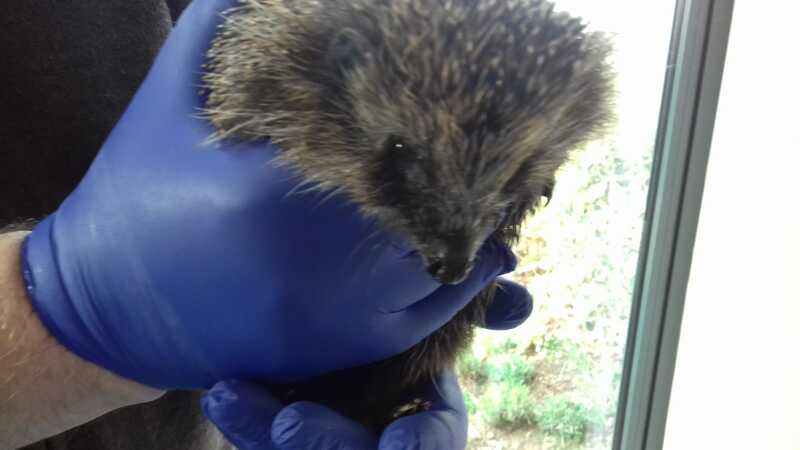 Peanut was found to have lungworm (hence the runny nose), fluke and was anaemic due to all the ticks. She also had a lump on her front paw, probably an old injury but this may need a vet to just check nothing is broken. She does use this front leg fine though and can climb and walk about with no limping or any difficulty. She then developed a chest infection. She also had a break for freedom in the rescue! She was however found shortly after but that frantic activity is down to the fluke and makes them extremely hyperactive. The rescue is treating Peanut for all the above. We are hoping she makes a full recovery and can be returned to the wild as soon as possible, which is always the aim. She is only one hedgehog of course and the rescue care for many more, year in year out. Any donations would be appreciated to help this rescue continue their amazing work. Please remember if you wish to feed hedgehogs, do not feed them mealworms or peanuts as they cause metabolic bone disease (which, in brief, causes fractures and broken bones) which is non reversible and gives our hedgehogs a death sentence. There are other foods which should be avoided and further information can be found on the British Hedgehog Preservation Society website or many other rescue pages on Facebook. Please feed meat based (ideally not fish) cat or kitten biscuits as this is good for their teeth and plenty of water. No milk at all as they are lactose intolerant. Thank you and please come back for more updates!